Are big battery phones going to become a thing? China seems to think so. Earlier this month we reported that Chinese manufacturer Oukitel had announced the K10000 Pro, which has the biggest battery of any smartphone on the market weighing in at 10,000mAh. The K10000 ditched the slim form factor design and sacrificed some performance in favor of battery life. For those looking for a smartphone for day-to-day use and do not require a top-of-the-line Snapdragon SoC, the K10000 will get them through half the month on one charge, or so its claimed. Now Beijing’s Xiaomi has announced the Mi Max 2. 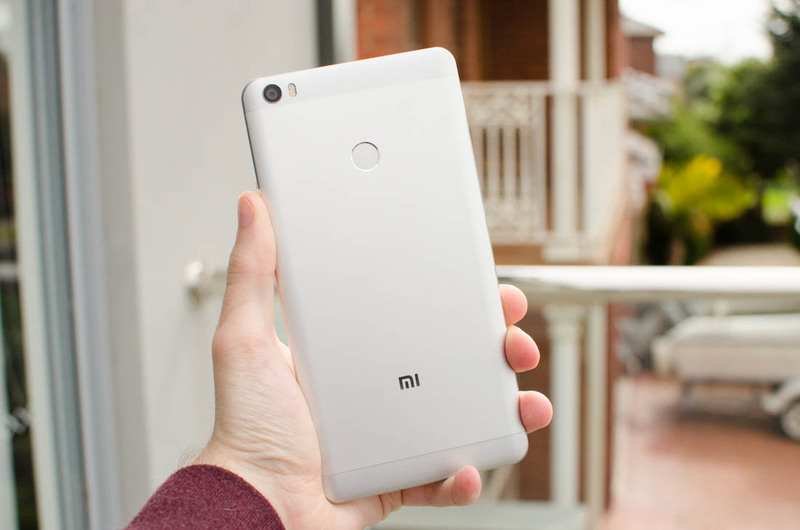 The successor to the original Mi Max that we reviewed last September, has a 5,000mAh battery and packs more processing power than Oukitel’s offering, so it cannot directly compete with the K10000, but still at up to 48 hours on one charge, it beats any smartphone in the U.S. market where runtime is concerned. CNET compared battery life on a bunch of different phones and found that the Motorola Moto Z Play had the best stamina, but was still less than half of what Xiaomi claims the Mi Max 2 will muster. While the Moto Z Play does not have the biggest battery (3510mAh) of those CNET looked at, its configuration afforded it marginally more playtime than competitors. Second place went to Samsung’s Galaxy A7 with 22 hours of run time on a 3600mAh. So the Moto Z Play offers us a good comparison on which to look at the Mi Max 2. The Max 2 will have a 6.44-inch screen with a resolution of 1080 x 1920 pixels. That equates to 15 percent more display real estate than the Moto Z's 5.5-inch display, but since they both have the same resolution, the Chinese phone loses some pixel density. The Motorola is a bit thinner, 6.99 versus 7.6 mm, but that is to be expected with the Xiaomi housing a 33 percent larger battery. Both devices run on a 2GHz octa-core Snapdragon 625, however, the Mi Max 2 has 4 GB RAM, whereas the Z has 3 GB. The Moto also only has 32 GB of onboard storage versus 64 or 128 for the Max 2. Both can accommodate a 256 GB SD card for external storage. They both have a 5 MP front facing camera, while the rear Mi Max camera is 12 MP, a tad behind Moto’s 16 MP. Other than the Android 6.0.1 OS on the Moto and Max’s 7.1.1, and Moto’s extra SIM slot, the devices are similar regarding the rest of their specs. Being very similar phones, it is interesting that Xiaomi can squeeze twice the juice out of a battery only one-third bigger than the Moto Z Play. The Mi Max 2 releases June 1 for 1,999 Yuan, which is about $290. That's cheaper than the Play's $399 MSRP. However, it's a phone manufactured for the Chinese market, so it probably won't broadcast on U.S. carrier signals. The radio specs for the Max 2 has yet to be confirmed. When will the U.S. start seeing phones where battery life is the focus? I would buy a bulkier phone if it meant I could go longer than a day without charging. How about you?